So what do you do after your latest campaign riles eating disorder groups because of the skinny can? To borrow from an old Coke tagline, take the pause that refreshes and look back to the days when your brand meant something. Pepsi recently approved a line of retro T-shirts to bring back memorable Diet Pepsi and Ray Charles' ads for "You Got the Right One Baby, Uh-Huh!" The campaign was launched in the early 1990s and included 11 commercials over the span of three years. The nostalgic appeal of the shirts aligns with the current Pepsi Throwback beverage line. It features Pepsi packaging from the 70s and 80s. So much for change. The campaign, a conservative move compared to its progressive backfires, returns Pepsi to an arena it plays well in — piggybacking on pop culture. At least it did back then. While it will receive a boost for the retro branding, it might be too late for retro novelty alone. Earlier this year, Diet Coke unseated Pepsi as the second most popular carbonated soft drink. In fact, since ushering in its new logo and turning to social media, Pepsi endured a 4.8 percent decrease in sales volume. Total volume has been declining since 2004. Some of the decline is related to soft drinks; the rest is consumer choice. The Curious Casuality Of One-Off Connections. Pepsi initially launched its first throwback campaign about three years ago. And each time it toys around with the idea, it sees some gains. And then the retro campaigns end, creating another quandary. The retro campaigns indirectly undermine the decades that Pepsi spent trying to bolster its youthful underdog appeal as a pop culture promoter (a role it seems to have forgotten for almost a decade). That's not to say Pepsi doesn't have any other good ideas. It does from time to time, including Pepsi Refresh. But good ideas and brand connections are different things. 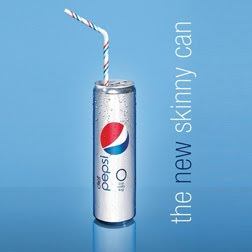 You can like Pepsi Refresh and never drink it. Simply put, the connection is to the cause, not the beverage. So chalk up that good idea to drinking too much social media Kool-Aid. You cannot simply connect to the current culture by signing on. Lesson learned: People DO NOT connect to social media. They connect via social media. And once there, they connect with some brands, ideas, and people. A few years ago, some of the people the public connected with were Michael Jackson, Ray Charles, and Cindy Crawford. And, any brand could leverage such notoriety for a price. What was the price for Pepsi? For about two decades, Pepsi relied so much on other people that it forgot to make a connection between the consumer and the product. So, it continually benefitted from great short-term sales and dour long-term prospects. Unfortunately, it forgot to leapfrog to the next pop hero. Since nobody really knows what Pepsi stands for anymore, the only way to regain any footing is to give up on introspection. Ergo, they don't need retro as much as they need Justin Bieber. Unfortunately for Pepsi, they don't have him. Bieber has been spotted on more than one occasion drinking Coke without the need for an endorsement deal.